Work Clock has the ability to offer customisable invoice number formatting. 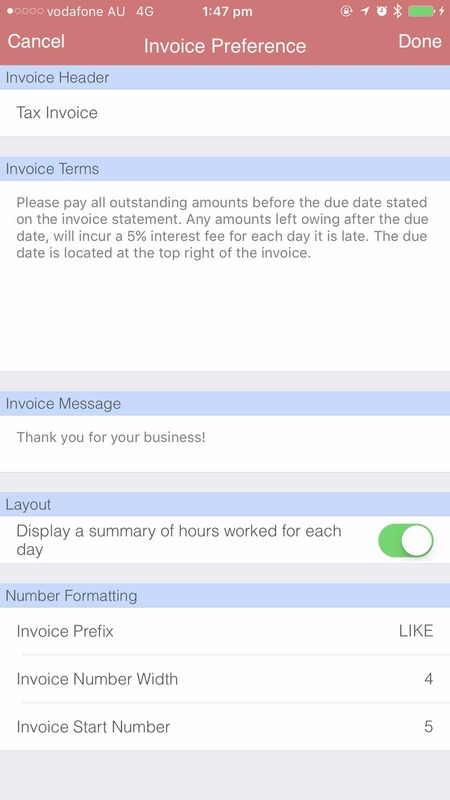 Go to the relevant Company Details ->Invoice Settings. For the example below, this would be LIKE0005, where LIKE is the prefix and the number width of 4 would be 0005 as the invoice number. Go to the relevant Company Details ->Invoice tab. For the example below, this would be INVOICE00003, where INVOICE is the prefix and the number width of 5 would be 00003 as the invoice number. 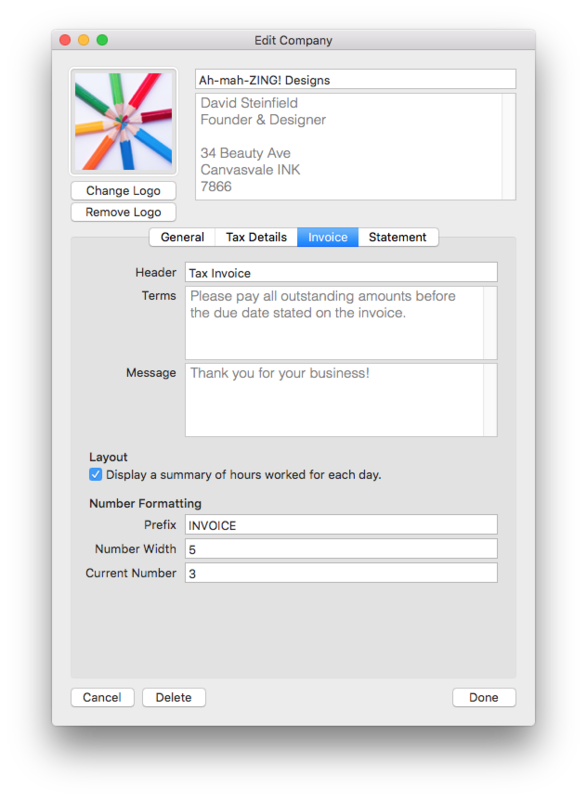 Work Clock is flexible with the starting (current) invoice number, so you don't have to start from invoice number of 1.